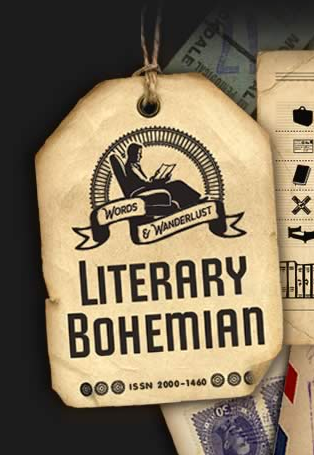 Literary Bohemian is a lavishly produced webzine, dedicated to ‘travel-inspired writing that transports the reader, non-stop, to Elsewhere’. Its homepage splash is a carefully designed collage of faux-retro travel iconography: luggage tags, postcards, coins and coffee in the hippest of sepia tones. There’s a full and well-organised archive of 14 issues, along with book reviews, travel photos, links to lodgings and destinations – a gorgeous wealth to enjoy. It’s lovingly put together, but I’ll admit the aesthetic irked me. I worried that this would be acquisitive, appropriative, with the destinations checked off like tallies in the bathrooms of backpacker hostels. Would it be travel as bourgeois privilege or aesthetic necessity? It is, unsurprisingly, those poems which are totally immersed in and part of their locations which stand out most from the latest issue. In Sean Edgley’s ‘Postcard from Belgrade’, for example, the city is built from a complex scatter of images and energetic physical moments – a skinhead ‘erupting in biceps’, a girl with ‘hips poised like the centered swivel of scissors’, a city suffering ‘the sadness of Chinese restaurants’. Edgley patiently constructs his Belgrade through profusion and surprise: there is despair and disrepair here, but it is part of a living, breathing whole. Athena Kildegaard’s ‘Five Views of Guanajuato’ takes a similar approach, though with more delicacy. The state is seen through five perspectives, and each summons a world experienced by believable people, operating within softly sketched social context. The language is direct but full of care, from clever use of sound (burros ‘sound one slack-jawed heave. / Brave bougainvillea bloom’) to shockingly perfect simile (‘tethered animals sad as beans’). Less successful are those pieces where the speaker’s presence and judgements obscure the sense of place and movement. In Ken Turner’s ‘Crossing the Border Near Lahore’ all is heavy poetry (‘ghost trains groaned through the border / leaking their loads on the rails’) carrying a burden of external observation. Though ‘fear / swelled like a corpse in the sun’ has power, if somewhat laboured, it is not given enough real context. ‘The birds must know / the history of this place’, but it’s not clear the author does, beyond the guidebook version. The poem is an unloving judgement, rather than a considered exploration. In his ‘Saigon Streets’, as well, every noun needs its overblown verb: ‘shutters snapped’, ‘motorbikes swarm’, and if that’s not enough they swarm ‘like angry bees’. Similarly, in Sy Margaret Baldwin’s ‘Berlin’ the city feels pre-determined, expected. Despite often felicitous word choice (‘the first hairs of frost in a hard winter’ particularly struck me), pedantic sentences cramp the poem: ‘a waterfall of cheese / that coagulates in a sticky pool at the exact level / of my neck.’ Of course this Berlin is war-torn, is ‘bullet-pocked’, has a ‘bleak construction site’. And of course this is winter. I feel as though I am watching the film of Berlin, not being transported there. Even then, though, Baldwin does close with a sharp indrawn breath of insight – and it is true that even the least moving poems here all still take me at least some of the way. Even when I was frustrated or bemused by a piece, I was glad to have read it. In Jennifer Faylor’s ‘After Your Funeral I Set Out to Find You in Different Time Zones’, I found the bland procession of unnamed countries (‘dark with foreign numbers’, ‘a beach somewhere’) something of a missed opportunity, but there was still beautiful control of sound and tightly paced revelation. Timothy Kercher’s ‘Lazarus’ is at its most convincing in the description through powerfully disjointed sentences, but less lively when the speaker enters the picture, overplaying the metaphor. ‘A town that is no longer / a husk shucked’ is a perfect, gorgeous image – so why add the lurching ‘like me’? And though in Mary Kovaleski Byrnes’s ‘Christmas Emotion Salad’ the humour may occasionally be too blunt or clunkily idiosyncratic – the opening line has far less subtlety in its cheer than the delicious closer – the poem is still in its own when the food arrives, summoning memories and futures and making my mouth water: sloppy and spicy, it is a delicious, over-seasoned, massive American meal. The whimsy of travel has a strong place in the collection, especially in the ‘Postcard prose’. Jennifer Faylor’s ‘Buttons’ employs a magical whimsy just on the right side of sickly – occasionally overplayed, but very strong when parsimonious, especially in its closing sentences. In Kirby Wright’s ‘The Enemy Tree’ the playfulness is simpler and blacker, played calm and straight: the prose gives us one image, one experience, very clearly indeed, taking me straight to its strange country. Back in poetry, Jennifer Saunders’s ‘The Changing of the Flowers’ is a thoughtful villanelle whose sweetness and clarity of meaning almost carries it through the stumbles. Perhaps the peculiar off-beats and scattering of not-quite-rhymes are there to highlight the way her ‘immigrant clock runs counter / to this native marking of the time’, but if so it is a too-easy metaphor of form. Nevertheless, it caught me and held me and I returned to rethink the poem more than many of the others. It is ‘A Photo of Pennsylvania in Fiji’, another Byrnes poem, which most represented the collection for me – this tension between the poems which summon a place with poetry’s magic, and those which obscure it with tendentious metaphor or weighty language. Her Appalachia is reflected in worn signifiers polished to a shine, whether through sound (‘coal / bucket, cricket dusk, hair gray static’) or insight (‘The Saturday church will heave with your wishes’). Her Fiji, though, is barely a sketch, and has the inevitable ‘Children dressed in American t-shirts’. It is as if Fiji is being seen from Appalachia rather than the other way around – but perhaps that is how we travel: memory more present than observation, which is indeed the poem’s territory. A mixed bag, then, but one I was delighted to rummage in. I like the motivation of the curation, its direction and drive, and am impressed with the variety and poise of the selection. 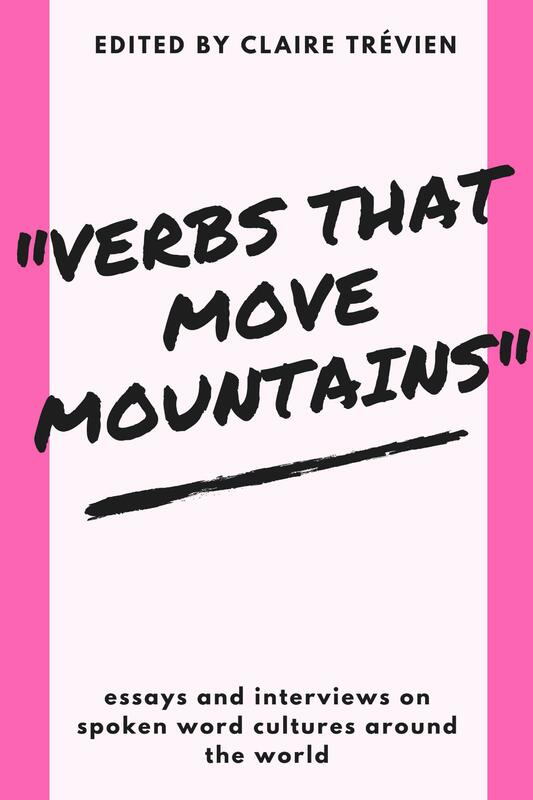 I’d like to see more focus and commitment from the poets and the editors: what is it really that they want travel poetry and writing to do, and how does a writer really transport us? The best writers here are those fully absorbed in their places – for me the real successes of Literary Bohemian are, of course, when I am truly moved.